Maurice Roucel is a Master perfumer at Symrise working in Paris and New York. He started as a chemist for Chanel in 1973 under then house perfumer Henri Robert. 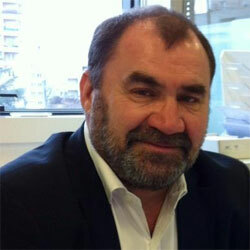 Roucel worked for IFF, Quest International, and in 1996 joined Symrise.